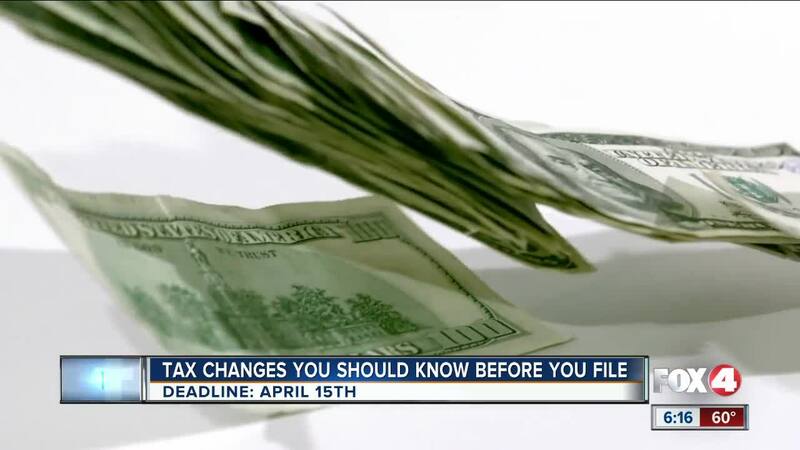 There are changes to your tax form this year. What you need to know and how to get your refund without delays. FORT MYERS, Fla. -- It comes every year at this time, yes filing your taxes. President Donald Trump announced this Friday afternoon there's a short-term deal to end the partial government shutdown, but could your taxes still be impacted? “I foresee a big backlog once they get back to work, and what’s going to happen with everything we are sending them right now is going on desk and sitting on a desk somewhere, when is that going to be processed, that’s the difficult part,” said Leo Titone,CPA Tax Advisors, Fort Myers. It also depends on how you file. “File electronically with direct deposit, your refund will not be delayed,” said Titone. If you paper file you could see a hold up on getting your refund. Even if you file electronically but it requires a manual review by the IRS your refund could be delayed. “Such as, if you have two ex-spouses that both claim the same child it’s going to go to somebody for review, because there’s nobody to review it,” said Titone. Titone says two delays not impacted by the shutdown, earned income tax credit and Obamacare. There are also changes to the tax form 1040. “Each line on the form now has a separate page attached to it, so it’s actually made it more complicated," said Titone. If you make less than $66,000 a year you are eligible to file your taxes online for free." There’s some other good news this year in regards to child tax credit. In the past you got a thousand dollar credit plus deduction. Now there’s no deduction and anyone claiming a child dependent, regardless of income, gets a $2,000 dollar tax credit. The deadline to file your taxes is Monday, April 15th.